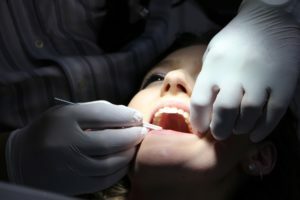 If you think you need urgent care, contact your usual dentist as a first step as some practices offer emergency dental slots and will provide care if clinically necessary. You can also contact the NHS 111 service by phoning 111 at any time of day. They will assess you and put you in touch with an urgent dental service. If you need urgent dental care when dental practices are closed (evenings, weekends and Bank Holidays), please phone 111 who will assess you and help to arrange appropriate advice and treatment with an out-of-hours dentist if needed. This service is for people with urgent or emergency needs only and therefore does not provide routine care or repeat appointments. If it is clean, put it back into the hole straight away. Hold the tooth by the crown (the part that sticks above the gum that you can see when it is in your mouth). If the tooth is dirty, rinse very gently with water. After replacing your tooth in the hole, bite firmly on a clean cloth and see your dentist as an emergency. 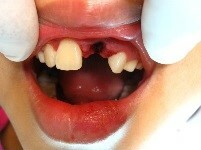 If you are unable to replace the tooth into the hole, place the tooth in milk and see your dentist as an emergency.